The University of Belgrade is the oldest and largest university in Serbia and the surrounding countries. The University of Belgrade is a state university consisting of 31 faculties and 11 scientific institutes. 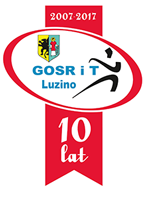 More than 100.000 students are studying at the university. Its main activities in the fields of higher education and scientific research are activities of public interest, and they are carried out in accordance with the legal regulations. The mission of the University of Belgrade is to provide superior education and exceptional knowledge to its students, not only in terms of their intellectual growth and development, but also in terms of growth and development of their human qualities and ethical values, and inspiring their wish and inclination to be leaders; moving the boundaries of knowledge and higher education, promoting intellectual surroundings which cherishes and honors true values, respect and accepting people’s differences and devotion to knowledge, development and human values. Devoted to studying, education, progress and prosperity, the University of Belgrade strives to set the strongest standards in higher education, to cherish and encourage intellectual and personal growth and to stimulate meaningful work and effort which serve to the well-being of the entire society. The permanent mission of the Faculty is its commitment to strive for improvement of the quality of higher education and its inclusion into the single European area of higher education. 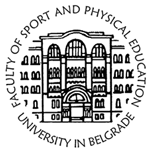 In the future, we see the Faculty of Sport and Physical Education of the University of Belgrade, as an active and internationally recognized factor in promotion of existing and creation of new knowledge from the field of physical education, sport, recreation and related scientific disciplines within higher education, based on outcomes of studying and principles of lifelong education. To achieve this goal, the Faculty will cooperate with other faculties of the University of Belgrade and international higher education and other institutions to encourage promotion of employees and students and improvement of their professionalism and creativity. This is related to inclusion into European research and higher education field through programs of international cooperation and mobility of students, researchers and teachers. Our plan is to cooperate with public institutions, institutes and associations. The main task and mission of the Faculty is education and creation of highly trained professionals and scientists who conduct their activities in three major systems: education, recreation and sports. The Faculty organizes all levels of academic studies in physical education and sport and professional studies of sport and recreation. The aim of the Faculty is to create a competent and independent expert and scientific worker, in line with modern trends of education, bearing in mind that modern education is based on specific, attainable and measurable processes. The professional team of Athlitiki Enosi Lemesou (AEL) was formed in 1930 and started its course with football. After a couple of years AEL formed basketball and volleyball teams for men and women. The Academy of AEL was officially formed in 1940 and is an official member of Cyprus Football Federation. In 2008 the division of football (with the Academy as well), the AEL Football Club (FC) was registered as a company, AEL PODOSFAIRO DIMOSIA LTD. The company is led by a board of 9 members and chaired by Andreas Sofocleous. The rest of the sports remained under AEL Sports Club. In 2015 the Academy of AEL has started its cooperation with a private school, PASCAL, and its Athletic Department. The members of the Academy, from the age of 13, have the possibility to register in the Athletic Department with reduction on fees or under the full sponsorship of AEL Academy –in case of talented underprivileged players with limited opportunities- and to follow for 6 years the courses for free, until the completion of their studies. Since the formation of the Academy of AEL, it has fed the labour market of professional football with many home-grown professional footballers that played in the National Team, first division teams in Cyprus and abroad. The Academy of AEL is also in cooperation with PASP (Pancyprian Footballers Association), which aids young members of the Academy to follow their studies, through scholarships and sponsorships. The young players are following a training and education programme which includes everyday training with different techniques and tactics on football. They are also following a tailored nutrition programme from the sports nutritionist and have weekly sessions with the sports psychologist and occupational therapist. In parallel, they follow seminars on opponent tactical analysis and technical implementation. Their performance and personal records are also being analysed and discussed with them regularly from the UEFA qualified coaching staff of the Academy. In addition to these, and in parallel to their training and education, the Academy of AEL is participating in several fundraising and charitable activities, such as tree planting, blood donation, raising money for underprivileged, which not only has a direct impact to society, but it also forms the character of the members of the Academy from an early age and promotes active citizenship. Through competitive sports and charitable activities, they are better prepared to enter the labour market and adulthood. These activities enhance their discipline, personal development, self-confidence, sense of responsibility and fair play. Football and charitable activities convey values of team spirit and teach young people how to deal with victory, defeat, rules and problem solving. The Academy of AEL has been trying to address these issues through sports-psychology sessions and regular lectures. • Under 21 (U21) won 12 Championships (1940, 1951, 1960, 1973, 1978, 1983, 1984, 1989, 1998, 1999, 2000, 2008) and 1 Cup (1997). • Under 17 (U17) won 5 Championships (2004, 2005, 2007, 2011, 2012). • Under 15 (U15) won 2 Championships (2005, 2009) and 2 Cups (1997, 2009). • Under 13 (U13) won 2 Championships (2006, 2008) and 1 Cup (2009). The Academy of AEL caters for football development, while also providing the opportunity to its member to gain further educational qualifications and follow studies with the assistance of PASP’s scholarships and sponsorships. Each day the Academy incorporates intensive football training, with different techniques and tactics on football. The Academy is also providing its members with a well-rounded programme, which aims at teaching them all aspects of the game and lifestyle of a professional football player. The members of the Academy are also following a tailored nutrition programme from the sports nutritionist and have weekly sessions with the sports psychologist and occupational therapist. The Academy concentrates on developing the members technical and tactical ability and awareness, physical capabilities and strength, boost their psychology and self-esteem and help them to cope with the pressure of football. Their performance and personal records are also being analysed and discussed with them regularly from the UEFA qualified coaching staff of the Academy. They are also following sessions on personal development, sports psychology, fair play and discipline, which teaches them how to deal with victory, defeat, rules and problem solving. They are also involved in several fundraising and charitable activities, which enhance their soft-skills, increase self-esteem and self-awareness and form their character from an early age. Many former members of the Academy have progressed into the first division of professional football in Cyprus, Greece and Europe, while following their studies in parallel which helped them to find employment in the sports industry when their football career came to an end. AEL staff members work continuously towards improving players’ performance and are highly skilled in their field of expertise. They are all fully qualified in coaching football, child protection, emergency first and are holders of Bachelors’ Degrees and UEFA badges. They also have work experience with footballers in several football clubs in Cyprus and abroad.